Werner Grand Prix – SUP, Windsurfing UK. The Werner Grand Prix sup paddle is a high aspect race paddle that has really shown itself in downwind conditions as well. Designed and manufactured specifically for racing the Werner Grand Prix M1000 features a mid-size blade and will fit the widest range of paddlers. These advanced blade designs including a buoyant paddle blade with a smooth back face offering a moderately powerful forward stroke and effortless maneuvering strokes. Progressive mid-size rectangular blade fits the widest range of paddlers and allows for incremental power with less immediate catch for an easier, gentler feel on the body. Optimized flex and strength. Choose our carbon Straight or Bent shaft. Thin ABS reinforced blade edge knifes cleanly in and out of the water. Optimized blade-to-shaft offset at 12 degrees, allows for a more vertical blade position which increases power throughout the stroke and less lift at the exit. Recommended for racing. 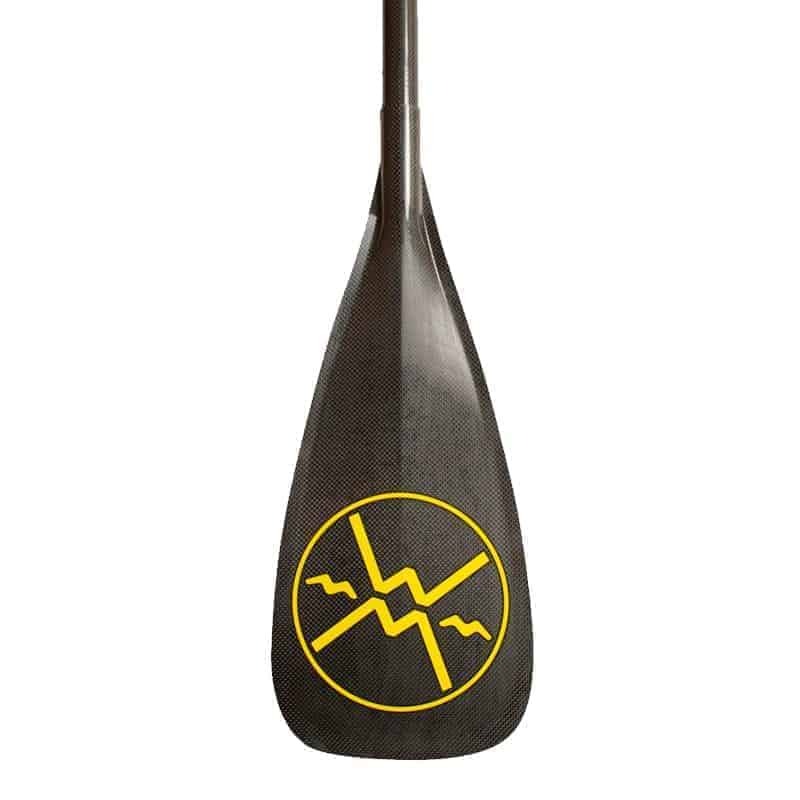 We do not recommend this paddle for surfing or whitewater.